Welcome to Cathedral Peak Wines. I am Phillip (Flip) Smith, your Cellarmaster. I have been tasked to produce wines of exceptional quality that reflects this very unique area. To be the wine maker at Cathedral Peak Wines is a privilege and is also a once in a lifetime experience to be able to develop the vineyards in the newest wine region of the country and the continent. This is a challenge I relish and trust that my 24 years of winemaking experience will deliver on the promise of the area. The 2015 harvest will be my first as winemaker in KwaZulu-Natal and at Cathedral Peak Wines. Most of my winemaking experience were gained from my father – the famous winemaker Dassie Smith. He was the Cellarmaster at Rooiberg- and Botha Cellar. 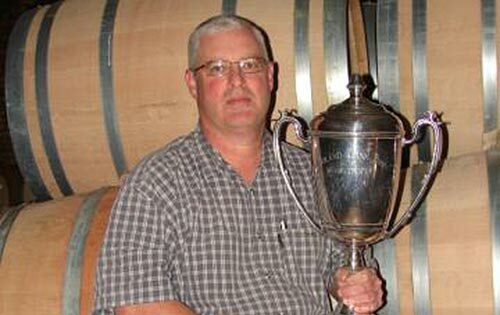 With his teaching and other support I can gladly state that I have won a number of prestigious awards, including Double Gold at Michelangelo Wine Awards, Boland Bank Trophy (Grenache Red Wine) at the Young Wine show, Winemakers Choice and Swiss International Wine Awards (Best Red Blend), and Veritas Gold. With this as background I am expectant in continuing my proud tradition of producing exceptional quality wine. As a winemaker, I have a hands-on approach to winemaking and I am passionate about the industry. My belief is that terroir, high quality grapes and expert working knowledge of winemaking are essential to the creation of quality wines. A great wine is not made solely in the cellar, but has its roots outside under the sun. Most of my time is spent outside to utilize and manipulate our vines to produce an excellent crop under challenging conditions. Adaptation to increased rainfall patterns during ripening season have produced wines unique to our terroir. Here at Cathedral Peak I also understand my role will be to have lots of contact with the public and to teach as much as I can. I look forward to meeting with you and to share our progress on Facebook and Twitter with you. You are also most welcome to contact me via Skype or the Contact Us page. Remember to check out our blog for the latest news and articles.